Happy Halloween! | Featuring My Ghost-Hunting Cast! Hi friends! I just wanted to wish y'all a happy Halloween, whether that means trick-or-treating, throwing a party, or just staying at home watching horror movies. I personally enjoy Halloween but it holds no meaning for me whatsoever. On a completely different note, here are some characters I'd take with me to go hunt some ghosts! Kaz … Continue reading Happy Halloween! | Featuring My Ghost-Hunting Cast! Tag Tuesday |Top 5 Characters I WOULD NOT Bring to a Haunted House! Hi friends! I'm so excited to be participating in another Top 5 Tuesday hosted by the fabulous blogger Shanah @ Bionic Bookworm, so go check her blog out!! Today's topic is one that perfectly fits the Halloween mood. Haunted House and Halloween characters! Katniss Everdeen! She would burn the whole place down and rise from … Continue reading Tag Tuesday |Top 5 Characters I WOULD NOT Bring to a Haunted House! A Monday Discussion |Why Are We So Scared To Reread Books??? Hi friends! Today's post is going to be short and sweet but I really wanted to throw out a question that's been pressing on my mind recently: why don't we reread books as often as we want to? 3 Reasons Why: First of all, I just realized that if add a 1 before the 3 … Continue reading A Monday Discussion |Why Are We So Scared To Reread Books??? Most Anticipated November 2018 Releases! Hi friends! SO. November is upon us. And there's like a million new releases* which is scary. But it's also my birthday month (yes, I am that extra) so yeah. BUT that's not what y'all are here for so let's do this anticipated releases thing! *which is about 999,999 more than I knew about so … Continue reading Most Anticipated November 2018 Releases! Rockstar Book Tours: WORDS WE DON’T SAY Review and Giveaway! | Contemporary??? For ONCE??? Hi friends! I'm back with another blog tour review and this time IT'S FOR A CONTEMPORARY??? *cue the gasps* Yes, I'm breaking my own eggshell and becoming a contemporary loving chicken. Title: WORDS WE DON’T SAY Author: K.J. Reilly Pub. Date: October 2, 2018 Publisher: Disney-Hyperion Formats: Hardcover, eBook Pages: 288 Find it: Goodreads, Amazon, B&N, iBooks, TBD Joel Higgins has 901 unsent text messages saved … Continue reading Rockstar Book Tours: WORDS WE DON’T SAY Review and Giveaway! | Contemporary??? For ONCE??? Hi friends! I'm back with another tag. I was tagged by the lovely ladies at Fiction No Chaser and I'm so excited to do this!! LET'S GO. Author You've Read The Most Books From??? Not counting Nancy Drew or the Boxcar Children, I choose Erin Hunter! I've read roughly...uh...40 books by her? 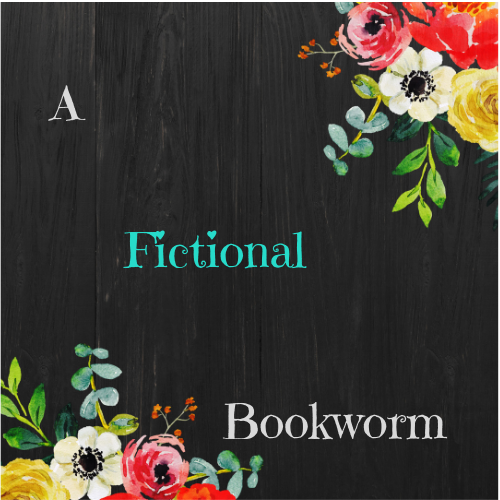 There was this series … Continue reading Bookish A-Z Tag!